Howard Alden, guitar; Dan Barrett, trombone, cornet, arrangements, of course. A working band is one of the great glories of jazz. Although some prize the ideal of the jam session, where disparate musicians come together, elate and startle us, a group of players who have stood side by side for a period of time might create something more lasting. Think of Soprano Summit, of Davern and Wellstood, of the Ruby Braff trios and quartets, the Rebecca Kilgore Quartet. If you would like historical precedent, there’s the rapport that Bird and Diz developed or the Armstrong All-Stars. The ABQ was nurtured by the friendship of its two California pals, then mentored even more by the aging but still very creative Buck Clayton. It held together as a working (and recording) band for less time than it should have, but one of the delights of Jazz at Chautauqua was the ABQ reunions that its late founder Joe Boughton insisted on and made possible. The charter members of the ABQ are Chuck Wilson, clarinet / alto; Frank Tate, string bass; Jackie Williams, drums — and in my delicious immersions at Jazz at Chautauqua beginning in 2004, I believe I saw an ABQ that was authentic in all but Jackie. And it always swung — a neat mixture of stripped-down Ellington colors, Kirby-with-guts classicism, a Basie rock, a Kansas City Six swagger. I dream of a world where working bands of this sleek swing persuasion could work as themselves. We’re so fortunate that the ABQ can reassemble . 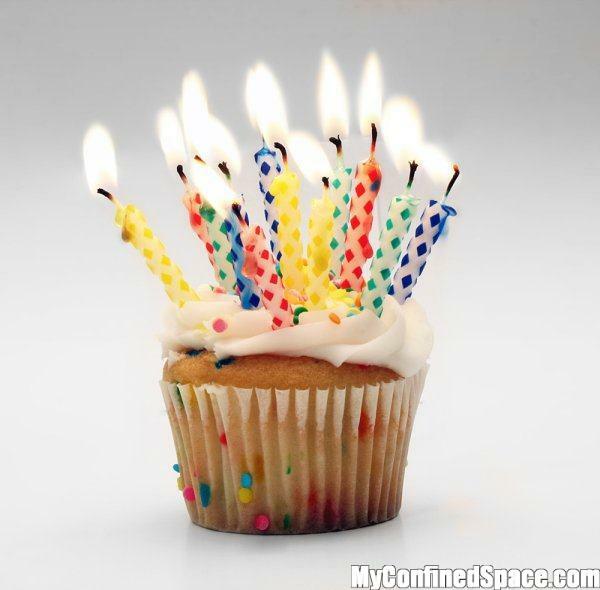 . . too bad it seems to be only once a year. She shall make music wherever she goes! Becky is our own Rebecca Kilgore, and we are so lucky to be able to see and hear her. I had the privilege once again at the Sacramento Music Festival. There she was joined by Dan Barrett (trombone, narratives), and Rossano Sportiello (piano) for a number of wonderful sessions. I marvel again at the lovely music that these three created for us. In the presence of the highest art: such beauty is easy to love but not so easy to create. And I should point out that even though Becky appears with a variety of combos — each one offering beautiful interplay between her voice and the players — the Rebecca Kilgore Quartet (formerly known as B E D) is still thriving! (That’s Becky, Dan, Eddie Erickson, Joel Forbes.) Coming soon to a festival / party / concert near you! But for the moment, we’ll all go on being BEWITCHED. These three video performances have been approved by the Canadian Film Board of Review. I mean my title literally. This band is at its easy playful best — but what they offer us won’t erode with time. The music that Rebecca Kilgore, Tim Laughlin (clarinet), Dan Barrett (trombone and cornet), Eddie Erickson (guitar, banjo, vocal), and Joel Forbes (string bass) created at the September 2011 Sweet and Hot Music Festival will last. Dan, Eddie, and Joel work together beautifully — their inventiveness, pulse, and swing — but the guest star, the limpid-toned Tim Laughlin, fit in as if he’d been working with this group for years. Maybe he should be! This was such a superb set — the only thing missing was a rendition of IT’S ONLY A PAPER MOON (appropriate to the decor): maybe next year? It’s dark in New York. Daylight seems to get swallowed up every day. Moving away isn’t an option, and reassurances that we will make it to April seem very thin comfort. Were I a bear or a squirrel, I could drown my sorrows by stuffing myself with acorns and go hibernate. But acorns give me indigestion and my college frowns on professors staying home for four months. Dixieland Monterey will take place March 4-6, and will be held at the Portola Hotel and Spa, the Monterey Conference Center and Fisherman’s Wharf. The Monterey waterfront, I’ve been told, is lovely — and this Bash has been presenting “Dixieland, Big Band, Swing, Ragtime, Blues, and Gypsy Jazz” for more than thirty years. In addition to the sets by a wide variety of bands, there will be a Swing Dance Party, three afternoon Banjo Jubilees, and a Dance Marathon. “Well, Michael, who’s going to be there?” I can hear my loyal readership clamoring — on two and four, of course. And the website notes that reduced prices will be in effect until the end of 2010. Better to go to a jazz party than curse the darkness. I forget: did Eleanor Roosevelt say that or was it Zutty Singleton? For more information, check out http://www.dixieland-monterey.com/. I now have some fun to look forward to . . . it will keep me more cheerful through the darkest days of winter. A new CD by the group formerly known as B E D is cause for celebration. Although this quartet (by common consent) has shed its coy acronym to be known simply as the Rebecca Kilgore Quartet, their musical essence — swinging, tender, witty, surprising — has not changed except to get better. Rebecca’s Quartet is a musical alliance between Becky (vocals and guitar); Eddie Erickson (the same plus banjo), Dan Barrett (trombone, cornet, piano, arrangements, vocals) and Joel Forbes (string bass). They were friends and co-conspirators long before they formed this versatile group, and their pleasure in playing and singing continues to grow, audibly. And I stress that the RK4 is a musically interconnected group rather than a star turn for a singer and her backing rhythm section. This CD is also happily distinguished by its variety (most CDs seem too long not because we can’t sit still for sixty-five minutes, but because many groups present the same experience eleven or twenty times during the course of the disc) — and it’s not an artificial yearning for “something completely different” from track to track. Singers Becky and Eddie are often out front, as they deserve to be, but the music behind and around them is both delicate and propulsive. Much of that is due to bassist Joel, someone I’ve been privileged to see and hear at close range at The Ear Inn. Joel knows all about the right notes in the right places, and his big woody sound lifts any ensemble. Here — since there’s piano only on one track and no drums at all, we can hear his righteous elegance. He’s featured throughout the CD but comes to the forefront on MY OLD FLAME, which is just lovely. Daniel P. Barrett, to be formal, inhabits a roomy musical universe. Shall we begin with the talents he’s less celebrated for? His piano on THERE’LL BE SOME CHANGES MADE would make you think that Nat Cole had decided to remain an instrumentalist, and his cornet playing on A GAL IN CALICO and GET ACQUAINTED WITH YOURSELF is a flexible, swinging delight — evoking Bobby Hackett and Bill Coleman. Want more? He’s an impish singer on ACQUAINTED: it’s hard to hear him sing anything without grinning at his wryly personal delivery. The clever, understated arrangements are his, and his trombone playing is what the instrument ought to sound like, whether he’s caressing a ballad line or nodding to one of Vic Dickenson’s less printable epigrams. Eddie Erickson hasn’t yet gotten his due as a wonderful rhythm guitarist and creator of tumbling single-note lines where every note is perfectly in place, even when the tempo is supersonic. His banjo playing is so melifluous that it makes me forget all the other things done to and with that instrument in the wrong hands. As a singer . . . he is earnest without being homespun, someone who makes the lyrics come alive without the slightest hint of affectation. He makes the rather violent lyrics of A GAL IN CALICO charming rather than oppressive; his MY OLD FLAME is rueful but wise; his DAY DREAM is tenderly masterful. He is also a wonderful team player, having the time of his life joining in with Becky when they sing. And “Rebecca (Becky) Kilgore,” as the back cover identifies her? My feeling (based on this CD and her Jerome Kern tribute, SURE THING, just out on Audiophile) is that her only flaw is that she keeps getting better. When I have received a new CD of hers, I think I know how good it’s going to be, but her subtlety continues to amaze me. She is able to sing songs that I know by heart and make them evocative and fresh — including THEY CAN’T TAKE THAT AWAY FROM ME and THE WAY YOU LOOK TONIGHT, which I had thought Mr. Astaire had permanently made his own. Her wistfulness, her deep feeling are evident all through I WISH I KNEW; her multi-lingual effortlessness comes through on UNDER PARIS SKIES. Her delivery of the lyrics is of course pitch-perfect, conversationally casual and graceful, but she is a great dramatic actress who never is caught acting: her rubatos, her hesitations and urgencies, are emotionally convincing improvisatons. And she doesn’t demand the spotlight for herself: her singing makes acceptable songs sound much better than they would otherwise, and makes great songs astonishing. On this CD, as well, our Becky displays another side to her character, a wholly natural kind of bluesy Funk: hear her on BUZZ ME BLUES and the half-time section (homage to Connee Boswell and the Sisters) of CHANGES MADE. And the whole band rocks church on the opening YES, INDEED! — an appropriate title for this delightful disc. 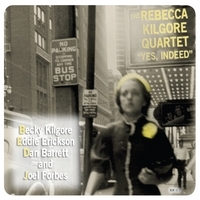 Here’s a link to CD Baby to purchase the Blue Swing Fine Recordings CD: http://www.cdbaby.com/cd/RebeccaKilgoreQuartet. *This post’s title, of course, comes from the CD itself and its opening track: I wanted to call this YOU WILL SHOUT WHEN IT HITS YOU, but my legal advisers said that these words sounded like an incitement to civil unrest so that I should find another phrase. And the cover picture, most atmospheric, captures Dan’s mother Dorothee striding down a busy street in St. Louis, circa 1937 — she kows where she’s going and she’s going to get there . . . just like the RK4.